The Journal would like to take credit for the decision to dual the A1 in Northumberland. Unfortunately, there seems to be something of a queue. In fact, the scramble by Conservatives and Liberal Democrats to hog the limelight makes Black Friday down at Tesco look very mannered and tame by comparison. Yesterday, we had the Prime Minister heaping praise on his own Government. 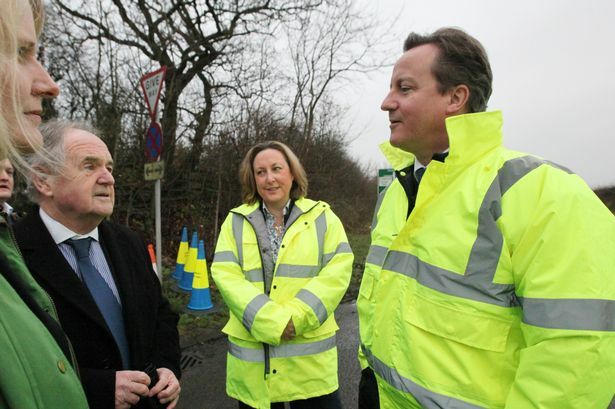 David Cameron singled out the contribution made by Anne-Marie Trevelyan, who happens to be the Conservative candidate in the vital marginal seat of Berwick at next year’s general election. Meanwhile, here was Vince Cable, the Business Secretary, allotting similarly lavish praise to Sir Alan Beith, who in turn praised Julie Porksen, who happens to be the Lib Dem candidate in the vital marginal seat of Berwick at next year’s general election. As Durham North Labour MP Kevan Jones commented rather sourly, at £290m this is an expensive way to win a single very important seat. But then Labour hasn’t got much to say here because they haven’t yet committed themselves to following the coalition’s lead and pledging to dual the road. Many people do deserve credit for pursuing this long fight. Ms Trevelyan, Ms Porksen and – especially – Sir Alan are certainly among them. But so are councillors and campaigners of all stripes – Labour, Tory, Lib Dem and independent – who have slogged away for so many years. We have been behind you all the way. And we all know it could still go wrong. The campaign to dual the A1 goes on. You are in it for the long haul. And so are we. Bernard Trafford: Should we be worried that the public lacks confidence in politicians' moral leadership?